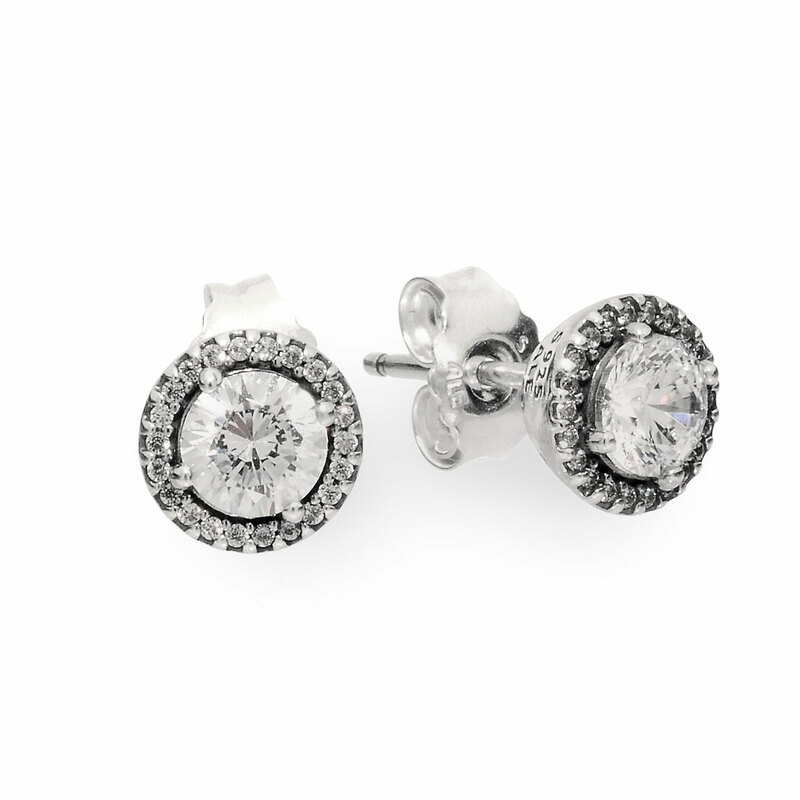 With their sparkling halo design, these sterling silver stud earrings exude effortless glamour. Versatile and delicate, they will add instant sophistication to any outfit, for any occasion. Available online or in-store. Classic Elegance Earring Studs is rated 4.6 out of 5 by 16. Rated 5 out of 5 by Bailey2324 from Beautiful! Oreded for my mothers birthday and they arrived within 3 days in perfect condition. Great buy! Rated 5 out of 5 by Lettyhdz from Great and Perfect Gift! My daughter in law gave this to me a year ago for my Birthday! I loved it they're fancy and elegant I wear it every day! Rated 5 out of 5 by Chloeps from Absolutely stunning! Such a simple but stunning pair of earrings . I only like wearing simple jewellery and have been trying to find a pair of earrings that I can wear everyday that aren’t too much but still pretty and these are perfect they are the perfect size. Rated 5 out of 5 by Amethist0119 from Beautiful & delicate! Bought this as a Christmas gift!! So happy I did! !